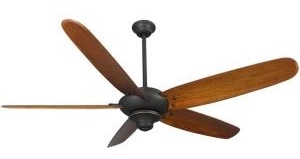 This is the summary of consumer reviews for Hunter 22460 Astoria 52-Inch Five Blades Ceiling Fan. The BoolPool rating for this product is Very Good, with 4.30 stars, and the price range is $105.86-$139.99. 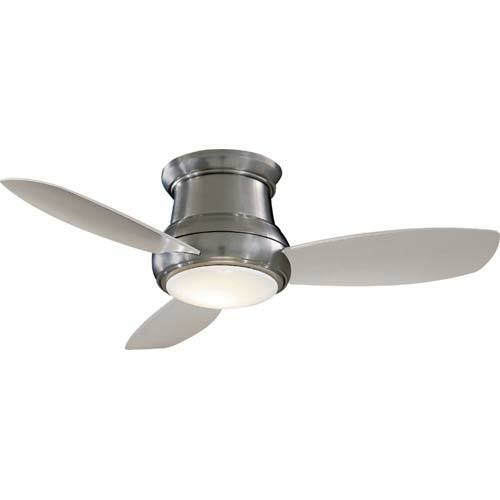 Hunter 22460 Astoria 52-Inch Five Blades Ceiling Fan, Brushed Nickel with Bowl can revitalize you and your home with its attractive, five blade deign. It features an attractive five maple and cherry blades with a 120-watt bowl light fixture with swirled marble glass that adds comfort and style to your home. You can also choose to install it without the light fixture. 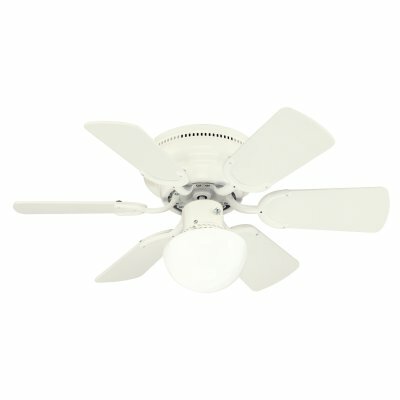 This efficient indoor fan has a choice of three -position mounting system lets you hang the fan any way you choose out of standard, flush or angled. 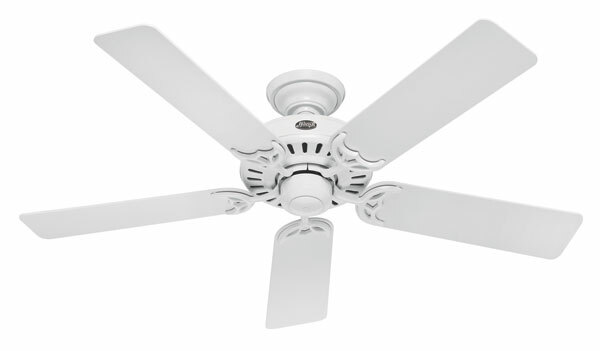 The Hunter Astoria 52-Inch Ceiling Fan is a great choice for medium- to large-size rooms, including bedrooms, living rooms, family rooms, dining rooms and more. Like all Hunter fans, it features a high performance, WhisperWind motor that is built from the finest materials and rigorously tested to be truly whisper quiet. 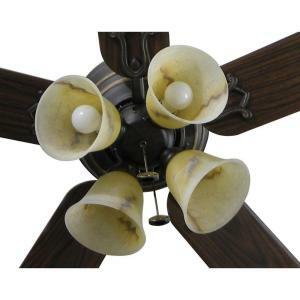 It uses two 60-watt bulbs and fan blades have two colors white and a light oak reversible. Some users would have liked a pair of extra chain pulls for accessing the fan. Other reviewers have mentioned that the lighting is a little dim due to its use of candelabra base bulbs and it is difficult to find any LEDs with candelabra bases that will produce enough lumens to light up a room. Overall, the Hunter Astoria has a versatile and elegant design that suits any decor. 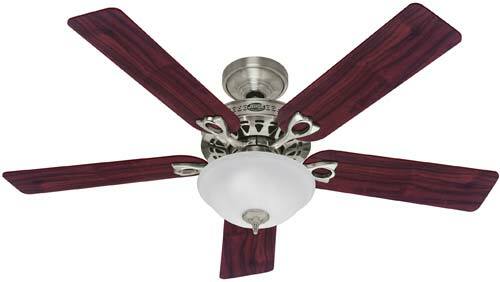 This Hunter fan is well-made, easy to install, and will last a long time. The two-sided blade colors match any decor perfectly. 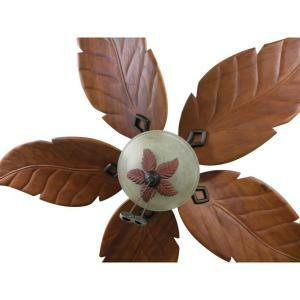 It is a great fan for the price, easy to install, sturdy, and also operates quietly and is very effective. Pull chain for the light is very easy and smooth....not so much for the fan speed chain. Had this fan for 8 months, and the pull chain controlling the fan pulled right out of the switch housing, leaving no chain visible. I wish Hunter would have include a pair of chain pulls. Hunter Fan Company gave 4 stars because they no longer include the hand pulls???? Great fan for the price, easy to install, and looks great. The only thing i can say i didnt like is the fan didn't come with pulls,No real big deal, but they should throw in some hunter pulls. The actual fan installation and assembly took 20-25 minutes and was fairly easy. I find it myself reaching above the light shroud to pull it. fabulous price, easy to install. Installed by an electrician and it's very quiet (important as it's installed in the master bedroom) and there's zero vibration. for the electrician to install the fan. Installation was faily easy, although my husband said the instructions weren't always exceptionally clear. You can't go wrong with this product, it's quiet, it's high quality material looks great and, it's several installation options. just as i expected, great product, everything in the box as necessary for the electrician to install. They're attractive, quiet, easy to install, and a great price. These fans are quiet, operate smoothly and installing isn't that difficult as long as you follow the instructions. It was easy to install and is incredibly quiet and powerful. Once the initial plate was installed it was easily installed. I bought 6 of them to install in the new house. I'd a remote control installed for my bedroom. They're quiet and they really move the air. They move air well, are quiet, and there's plenty of room to slide a remote unit in there if you so desire. It's beautiful, sturdy, quiet, and effective. Our workman installed one of the fans incorrectly so it blows air at the ceiling - watch the polarity of that motor connection! Really nice fan, very very quiet, nice bright light, easy to install...exactly what we were looking for. The light bulbs provide enough light but isn't super bright. With two 60 watt bulbs, the light fixture is supposed to have a combined 120 watts of lighting power. The fan and the light kit really look fantastic in this room. It's also better to have a fan with medium base bulbs so that you've better and more energy efficient lighting options than the candelabra bulbs. The white color of the fan and the light go quite well with our daughter's Tinkerbell themed room (light green with white trim). Runs quietly even at high speed, light output is ok for two 60w candelabra bulbs, blah! It was easy to wire up and install, even with the remote that we installed within it, and the directions were easy to follow. Re-wired it to take regular 60 watt bulbs which give off much more light.